Child Specialists downed their stethoscopes, not as a work-to-rule protest, but to take up bags and books for ‘examination’. Moving away from medical bags and tomes, they are peering closely at schoolbags and textbooks, analysing and trying to find out what ills are being caused to schoolchildren. The stress faced by ‘voiceless’ schoolchildren has now been taken up by none other than the powerful Sri Lanka College of Paediatricians (SLCP). The SLCP which looks after the physical and mental health of children is focusing its attention on schoolchildren overburdened by an education system which over the years has piled on more details to the curricula, excessively taxing young minds without taking into consideration the leaps and bounds in the advancement of technology. This is as a part of the SLCP’s ‘School Education Project’ and at the helm are SLCP President Dr. Ramya de Silva and Immediate Past President, Prof. Sujeewa Amarasena. Under this project, the SLCP has studied different aspects of school education and the inescapable trap that children are caught in from the tender age of 5+ when they walk into the Grade 1 classroom until 19+ when they walk out from Grade 13 (Advanced Level) as young men and women. As a first step, the SLCP has picked up the schoolbag and to its horror found that — once it is filled with numerous textbooks the child has to take each and every day of the school week, along with other stuff needed for project work and the bottle of water and tiffin box — it is unbearably heavy. “The Sri Lankan education system – is it what is best for them?” asks not only a mover and shaker behind the project but also mother of two, Consultant Paediatric Neurologist Dr. Jithangi Wanigasinghe, who sees many children struggling to don the heavy bags onto their shoulders and then walking into school bent double like beasts of burden. She explains that there is serious concern “about the massive content in textbooks” which is in turn having a physical and psychological impact on children, while the economic impact is felt by the child’s family and also the country. * The ergonomically unsafe weight of the schoolbag due to the heavy load of books has resulted in a change in the carriage of children. There have been musculo-skeletal impacts such as shoulder and lower back pain, knee pain and also spinal deformities. * The heavy workload has resulted in children not having much time outdoors both at school and home causing them to be overweight and obese. A study in the Colombo metropolitan area has found that about 15% of 8 to 12-year-olds are overweight. * With extra coaching essential to cope with the massive content, the child has no time to rest, relax or play – being dragged after school from one tuition class to another. *Difficulty in understanding the subject matter as it is too much and too complex. *Pressure to always do more. *A majority of children in Year 13 are no longer in school, with their learning entirely tuition-based. *In the race to become the best, some children who are physically challenged or slow learners are left behind and marginalised. *It is no longer entirely free education, due to tuition. *The education system (assessments) is geared for limited, selected jobs. *It is an education system which encourages memorising instead of application and honing of thinking ability. *Rote learning blunts the child’s creativity and innovative skills. Dr. Wanigasinghe has dissected the subjects and the time allocations for each subject and cites just one of numerous examples – Science in Grade 7 which has 17 topics spread over 250 pages in two large textbooks. *However, with the content being large, the child needs tuition to understand this subject, while a vast load is earmarked as homework which affects the child’s play time. She reminds the Sunday Times that these children do not have only Science to study. The total number of subjects for a child in any Grade from 6 to 9 is a minimum of 13. With echoes of the plaintive cry of thousands of children across the country being: “We don’t like to study… we want to play”, why are we dragging our feet, is Dr. Ramya de Silva’s plea. “Play is an essential component for both the physical and mental wellbeing of the child,” she adds. The time to act and change the curricula is now. The statistics are heartbreaking and no more evidence is needed for a major re-haul of the education system. The Sri Lanka College of Paediatricians (SLCP) is not just preaching but showing the way forward. *Re-evaluate the content of subjects. *Invest in improving the reading skills of students. *Invest on creativity and innovative thinking – revamp the subject of Practical & Technical Skills (PTS). *Promote better mental health through a “less stress education”. *Introduce play into the time-table – increase the interval by 10 minutes. *Make the Grade 5 Scholarship Examination non-compulsory. *Before the content is increased – ensure that teachers have the capacity to teach this content. n Reduce the burden of assessments in such subjects as PTS and Civics, while retaining the content that is vital and teaching such content in a more enjoyable and applicable manner. 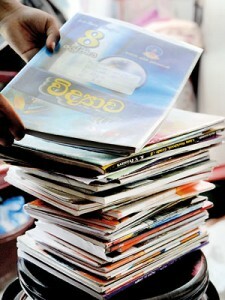 Reiterating that the content is too much and too repetitive, Consultant Paediatric Neurologist Dr. Jithangi Wanigasinghe picks up the Grade 6 Civics textbook, asking whether a 10-year-old can understand the concepts described in it. Earlier, a lesson meant for a 13-year-old student of Grade 9 under the old syllabus of 2015 has now been included for an 11-year-old in Grade 7 under the new syllabus of 2016. “Why, oh why,” is her query. In agreement with his colleagues of the SLCP, Prof. Sujeewa Amarasena details the ‘expected outcomes’ of the ideal school education system as: Being able to produce a student who is creative, challenging, innovative and problem-solving which matches the economic needs of the country; facilitating education in a stress-free (or minimal stress), happy and comfortable frame-work; providing educational opportunities universally and equitably to all children; and placing emphasis on matching skills/abilities of students rather than focusing only on the Z-score. *Review the current system using the expertise of both local and foreign educationists. *Garner the input of different stakeholders/professionals which should include teachers, parents, paediatricians, psychiatrists, psychologists, economists, community leaders and students, making it a team effort to improve the lot of the Sri Lankan child. *Carry out educational reforms in stages and not load the children with reforms en masse. *Target an education system which facilitates “liking to learn”.